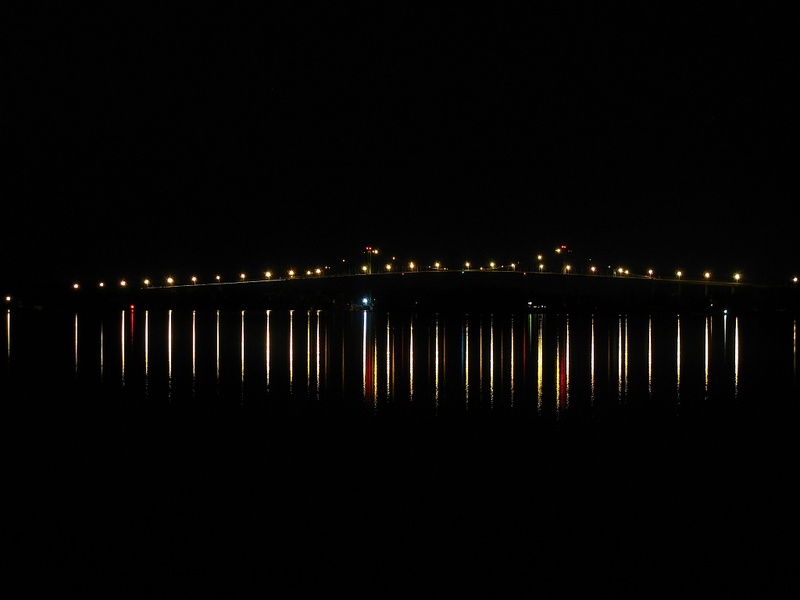 This is a night shot of the Thousand Island Bridge, New York span. This is wonderful, Richard. I have not been to the Thousand Islands since I was a kid...such a pretty area. Beautiful...and worth the trouble it took to get the picture! I love it! Very cool! I really need to play with exposure times more. I have not had much luck with night shots yet. I really want to be able to shoot the moon! Lovely shot - and thanks for the technical info. I'm getting to the point where I need to learn much, much more about technique so I really appreciate explanations from people who get it right.